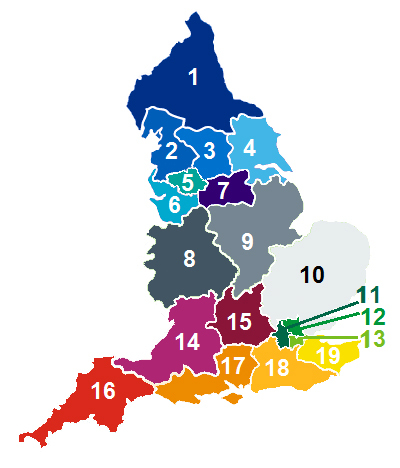 Cancer Alliances bring together clinical and managerial leaders from different hospital trusts and other health and social care organisations, to transform the diagnosis, treatment and care for cancer patients in their local area. These partnerships enable care to be more effectively planned across local cancer pathways. Support delivery of all eight waiting time standards for cancer, including the 62 day referral-to-treatment cancer standard. Progress towards the 2020/21 ambition for 62% of cancer patients to be diagnosed at stage 1 or 2, and reduce the proportion of cancers diagnosed following an emergency admission. Implement the nationally agreed rapid assessment and diagnostic pathways for lung, prostate and colorectal cancers, ensuring that patients get timely access to the latest diagnosis and treatment. Progress towards the 2020/21 ambition for all breast cancer patients to move to a stratified follow-up pathway after treatment, including putting in place clinically agreed protocols for stratifying breast cancer patients and a system for remote monitoring by the end of 2018/19. Ensure full implementation of the new cancer waiting times system ahead of the introduction of a new 28 day early diagnosis standard in 2020. Support the rollout of FIT in the bowel cancer screening programme. Support the implementation of the new radiotherapy service specification, ensuring that the latest technologies are available for all patients across the country. Where relevant, participate in pilot programmes offering low dose CT scanning based on an assessment of lung cancer risk in CCGs with lowest lung cancer survival rates. Cancer Alliances also share best practice across these priorities within their own Alliance and with other Alliances. Each Cancer Alliance has a funding agreement in place for 2018/19 which sets out what it will achieve this year. Read more about the cancer priorities in 2018/19 in the planning guidance. Cancer Alliances are transforming care locally through a range of transformation projects.